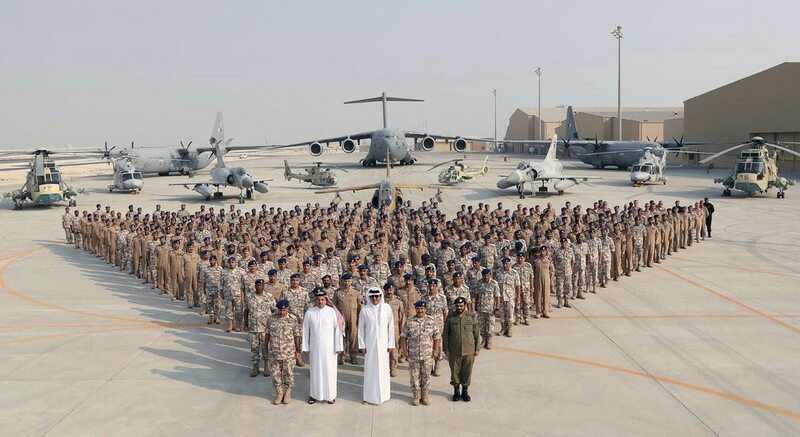 DUBAI, United Arab Emirates — Qatar’s emir is persona non grata to four U.S.-allied Arab states that accuse his wealthy Gulf nation of sponsoring extremists, but he recently received a warm welcome at the sprawling military base his troops share with thousands of American soldiers. Qatar’s al-Udeid Air Base, a crucial staging ground for U.S. operations in Syria, Iraq and Afghanistan, is one of several American military outposts across the Gulf that are intended to serve as a bulwark against Iran, but now put Washington in a delicate balancing act. Saudi Arabia, Egypt, Bahrain and the United Arab Emirates cut all ties to Qatar in June, accusing it of supporting extremism and being soft on Iran. Some U.S. officials have defended Qatar, but are making little headway in mediating the crisis. With its hosts at each other’s throats, the Pentagon has been placed in an awkward position. The U.S. has deepened its military relationships across the region in the nearly two decades since it helped expel Iraqi dictator Saddam Hussein’s forces from Kuwait. The island nation of Bahrain hosts the U.S. Navy’s 5th Fleet. Kuwait, which has also sought to mediate the Qatar dispute, is home to 13,500 American troops and the forward command of U.S. Army Central. The UAE’s massive Jebel Ali port in Dubai is the Navy’s biggest port of call outside of the U.S., while American forces also fly out of al-Dhafra Air Base near Abu Dhabi. Some 10,000 American troops are stationed in Qatar, a small, energy-rich peninsular nation that sticks out like a thumb into the Persian Gulf. Most work out of the vast al-Udeid Air Base just south of the capital, Doha, which hosts the forward operating base of the U.S. military’s Central Command. By comparison, experts estimate Qatar’s own military strength at some 11,800 troops, one of the region’s smallest forces. For years, the U.S. military wouldn’t even acknowledge the base’s location out of security concerns, at most simply describing it as being in Asia. It houses the Combined Air Operations Center, which oversees the U.S.-led coalition’s bombing campaign of the Islamic State group in Iraq and Syria, and manages a direct line to Russia to manage Syria’s crowded skies. 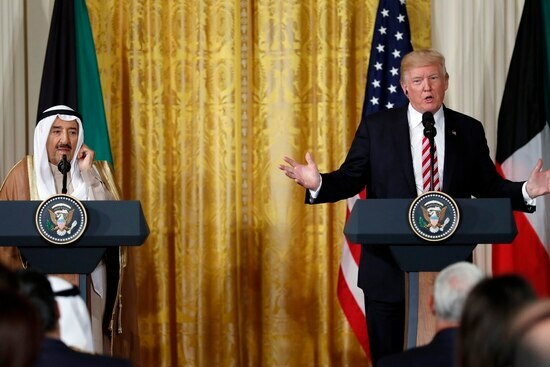 Yet even before the Qatar crisis began on June 5, some in Washington questioned the U.S. military’s reliance on a base in a country whose leadership has supported Islamist groups like the Muslim Brotherhood. The UAE and Saudi Arabia view the Brotherhood as a threat to their nations’ hereditary rulers. Egypt considers the group a terrorist organization. 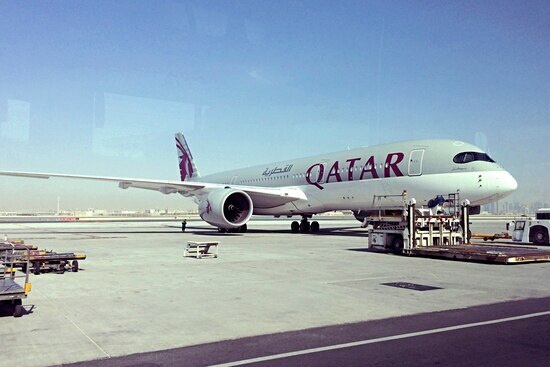 The diplomatic dispute began in part over that Islamist support, as well as Qatar’s diplomatic relations with Iran and allegations it funds extremists. Qatar long has denied funding extremists, and its warm relations with Iran are nothing new — the two countries share a massive offshore natural gas field. While U.S. President Donald Trump has tweeted and made comments that can be seen as siding against Qatar, Defense Secretary Jim Mattis has traveled to Doha to offer his support. The Trump administration also agreed to an in-the-works sale of F-15 fighter jets to Qatar for $12 billion. However, Sheikh Tamim bin Hamad Al Thani’s visit to the base on Sept. 11 added new tension. He posed with troops in front of warplanes, some American-made, and met with senior U.S. officials. One photograph at the base released by state media showed a stenciled poster of Sheikh Tamim, an image now seen across Doha as a sign of support for the ruler amid the boycott. Sheikh Tamim and the Americans “reviewed the joint Qatari-U.S. military defense cooperation, and the mutual cooperation between the two countries in combating terrorism,” a statement about the visit on the state-run Qatar News Agency said. U.S. bases routinely welcome leaders of their host countries, Thomas said. Asked about the Sheikh Tamim poster, he said it is normal for host nations to put up their own nationalistic banners on their side of bases. The al-Udeid visit came just ahead of Sheikh Tamim’s first trip abroad since the crisis began. The trip to Turkey and Germany provides a way for him to show his rule is secure. Sheikh Tamim’s father, Sheikh Hamad bin Khalifa Al Thani, launched a palace coup in 1995 while his own father was abroad. The Pentagon has developed contingency plans for al-Udeid operations, but that’s a normal part of war planning, Thomas said. He said the U.S. military regularly maintained relationships with host nations amid turbulent times, referencing tensions with Egypt in the years since its 2011 Arab Spring uprising.